The 100W is the ultimate run-around scooter with sporty performance and striking colours to suit the tastes of any trend-setting youngster. Suitable for kids from 4 to 7 years of age, the 100W is a well-priced scooter that is easy and safe to learn on for kids with no two-wheel experience. The 100W is also the only entry-level scooter to offer a convenient folding system that makes the ultra-light 100W a pleasure to fold for storage or load into a vehicle. 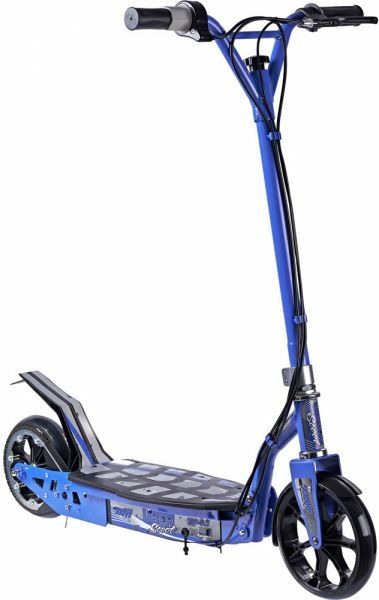 It can ride up to 10kms on a single charge and with its 8” durable polyurethane wheels guarantees the smoothest possible ride. Simple “push to go” throttle response, easy-to-use braking systems and great gearing ratios make the 100W scooter a low maintenance package that will bring hours of joy to any fun-loving youngsters.